This past Saturday, James Madison High School was the proud host of the 6th annual Paul Goddard Individual Tournament . The tournament is named for the founder, and former coach, of Nazareth High School Wrestling. On hand were many former wrestlers of Coach Goddard, along with many former wrestlers from Madison Wrestling. 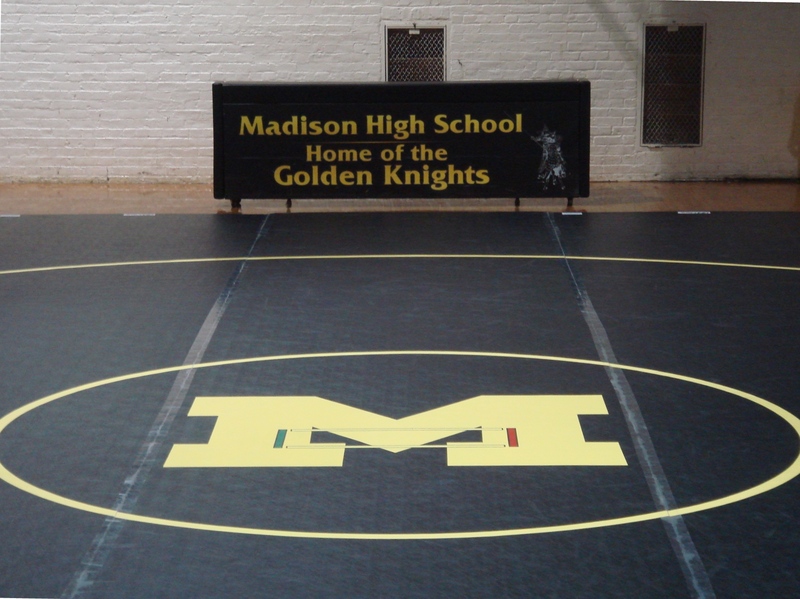 With three mats down in the big gym, and eleven teams competing, the Madison wrestlers repeated their performance of last year, and once again, won the tournament with 151 points, over New Utrecht (138), and Wingate (134). 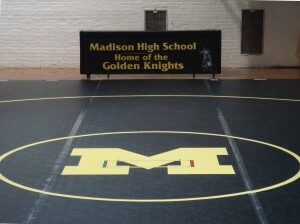 Taking 1st place in the tournament for Madison were Louis Cigliano at 152 pounds, Javaughn Grant at 195 pounds, and Kujtim Nikq at heavyweight. Also placing were Youssef Eliali, Aaron Payton, Oskar Raimbek, and Mark Ifraimov. The Most Outstaning Wrestler award went to Nigel Williams (145#) from Eagle Academy. The Golden Knights will open up the 2nd half of their schedule against undefeated New Utrecht, in a dual meet on January 4th. The team then travels to Monsignor Farrell the next day for the always tough Dave Ironman Tournament.